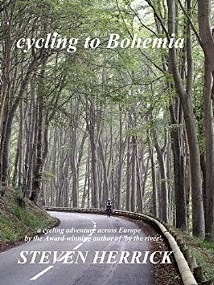 My review today is for cycling to Bohemia: a cycling adventure across Europe (Eurovelo Series Book 4) by Steven Herrick, a travel memoir about a 2500km cycle ride from St Malo in France to Prague in the Czech Republic. Steven is a seasoned European cyclist and as in previous adventures was accompanied by his wife Cathie and their two bikes, named Craig and Jenny. This book is not just about cycling, there is humour, love (for his wife, food and most of the countries they find themselves cycling through), a love-hate relationship with his bike, and interesting descriptions of their journey. In a world where diet and going without are hot topics, it was lovely to roll with them from one patisserie stop to another beer and snack stop throughout the journey. It showed the great balance to be found in cycling and eating for enjoyment, their cycling was always taken at a sensible pace and despite the many tasty treats there was no real gluttony either. This all came together to make a very readable and perfectly paced travel memoir that takes you along the rivers and back roads from France to Belgium to Holland to Germany and into the Czech Republic. Steven’s writing style is friendly, chatty and funny and he made me feel that an adventure like this would be possible for me too. This is the third of Steven’s cycling memoirs I have read and although I have enjoyed them all, this was my favourite. 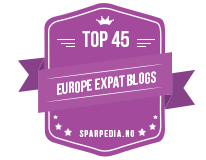 If you love touring Europe, by bike or by book then this is book that will take you there and make you smile while you are reading it. All of Steven’s cycling books are available in ebook and paperback format and links to Amazon are below.